1957 Chrysler Imperial Convertible by R&R Resin. 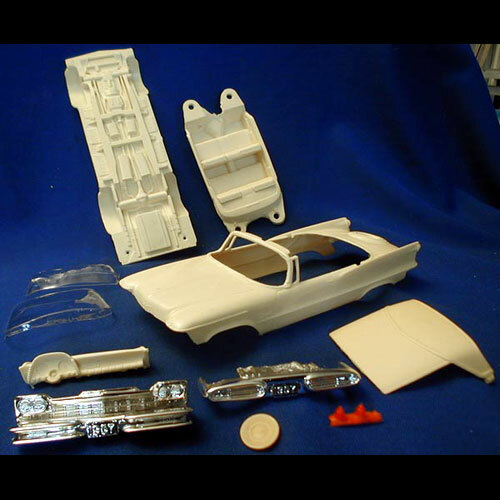 Includes one piece body, interior tub, chassis, up top, bumpers, dash, grille, taillights, and vacuum form windshield. 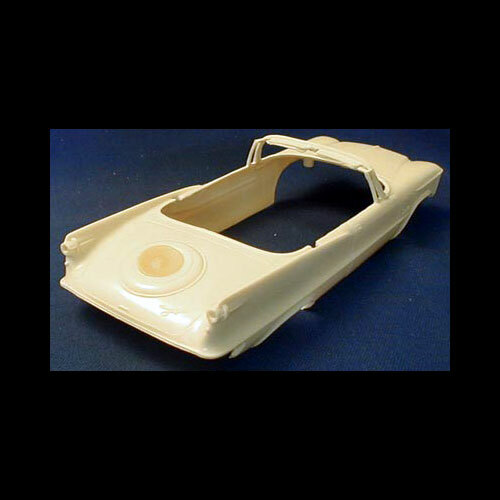 This resin model / body may require a Chrylser model kit for donor parts to finish.